Crazy how time has flown by, has it been seventeen years building our style custom rustic furniture from log to wood slabs? It’s a crisp fall day in the studio in Nashville, TN. I’m working on a maple burl dining table listening to relaxing instrumental music. Memories dance around my mind as the music, smell, and crisp air draws me into how it all began. 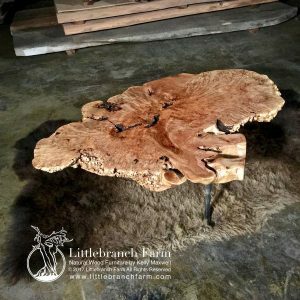 Elegant Bigleaf maple burl live edge coffee table. 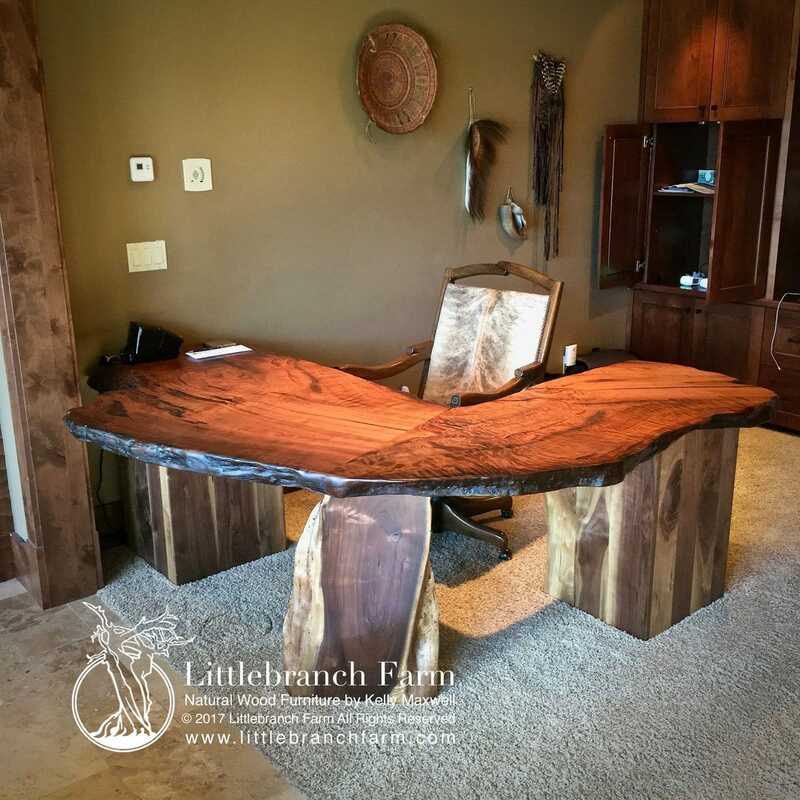 I enjoy designing and building one of a kind custom rustic furniture from the basic concept to the clients home or office. Back in the early years in Hamilton, Georgia, I peddled my custom rustic furniture at craft fairs. The simple log furniture allowed me to hone my woodworking skills. That time is laced with fond memories but that was then and this is now. As I said earlier I’m working on a maple burl wood dining table and this wood slab is massive. 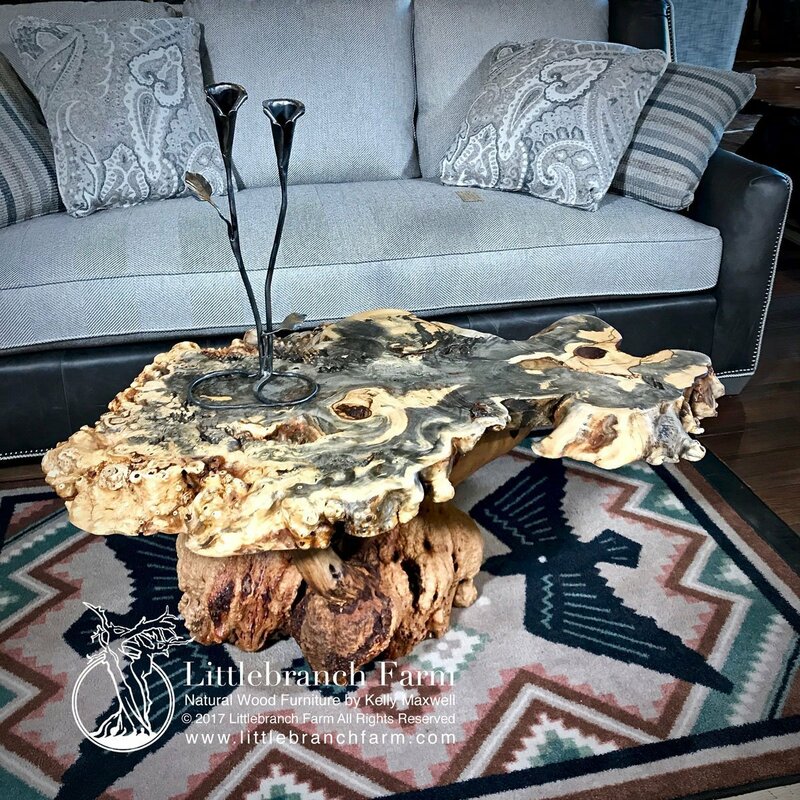 Back in 2003 I bought my first live edge wood and as a custom furniture maker, I fell in love with the style and design options. Before that, I had been cutting my own logs and building rustic log furniture. 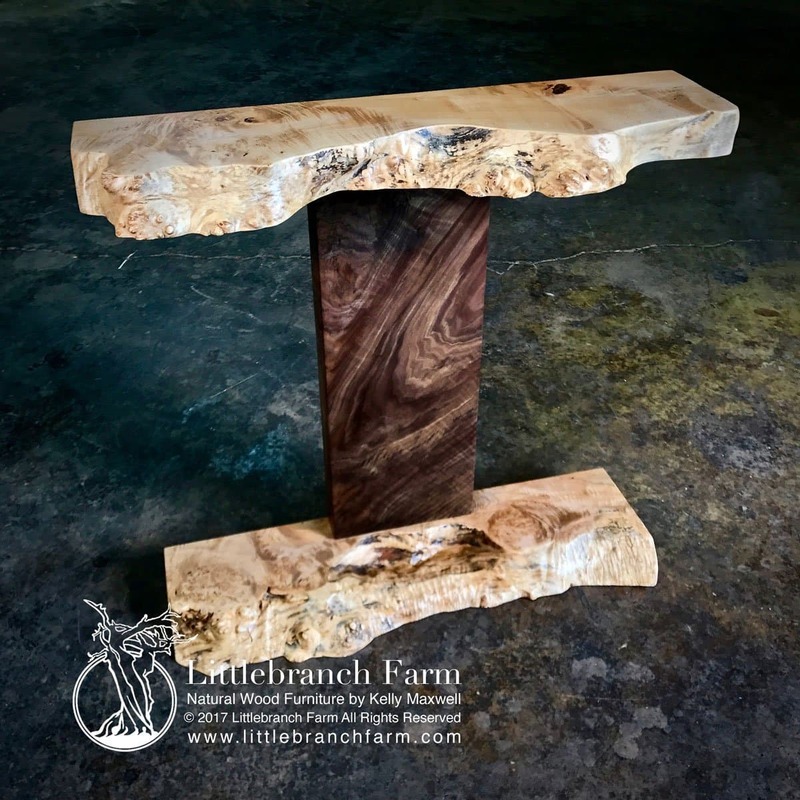 But I had a hunger to work with live edge wood slabs. In late summer 2004, I ordered my first load of live edge wood. It was mostly old growth redwood slabs and root systems and I was in wood heaven. Although I still harvested my own logs as the rustic log furniture was still my main furniture style. 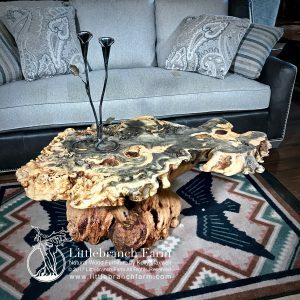 I pedaled my rustic style custom wood furniture at craft fairs around Georgia but quickly moved in to log and timber frame home shows. Meet a lot of good people and made some lifelong friends. I need to get back and finish this massive maple burl wood table. It is truly a rare piece at 84″ long by 62″ wide. I look forward to sharing more of the past in the future! If you are in Nashville, TN Stop by the studio and check out our rustic style custom furniture.